Capturing marketshare by innovating consumer delivery logistics could be a very profitable business model. The team carries the necessary expertise to deliver on their promises. 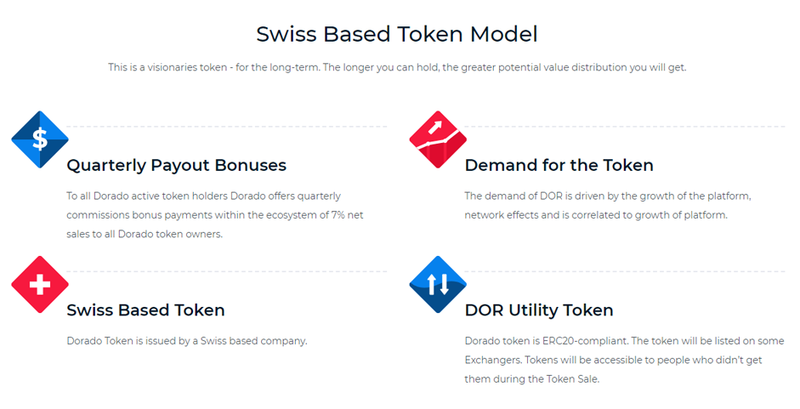 Tokenizing their business model is ineffecient, lackluster idealizations suggest it would be an improvement. Since we started Foodout, an MVP of Dorado, we have been continuously transforming the way people order stuff. 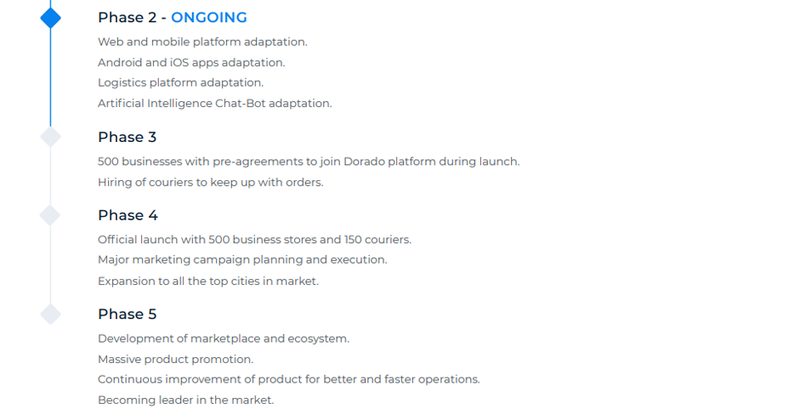 Combining its latest innovations in Artificial Intelligence driven chat-bot technology, deliveries by drone and robots with current Foodout’s infrastructure, operations, and big data from millions of orders, Dorado ventures to reinvent the ordering experience on blockchain, while improving upon business inefficiencies caused by human. 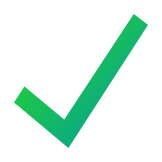 Using a token to power business to business transactions will not integrate well with business that rely on fiat. This project would be better off raising capital on a traditional public market. YouTube promo video views have been inflated to popularize the ICO, even using Elon Musk as a segue into their business. There is much promise in a profitable company that has captured market share. When it comes to the delivery of food, Dorado has found success. With many other competitive forces lingering in the same market, Dorado will likely stumble upon the great logistics warrior known as Amazon. Amazon has spent millions of dollars researching and fine tuning drone delivery that Dorado will be no match, you might as well invest in Amazon if drone delivery is your selling point for investment. Using an Ethereum token to improve upon their current fiat model will prove to be a terrible mistake. We all know the current volatility of crypto currencies to be a roller coaster of ups and downs. No business or courier in their right mind would want to accept a token for payment, with no options for immediate options to convert to fiat, succumbing to the profit loss from token value as well as the heinous 30% commission will likely be detrimental to a business' success. Imagine selling products for a discount price due to commission, only to receive payment as a fluctuating asset that has to be dealt with, a commerce nightmare. 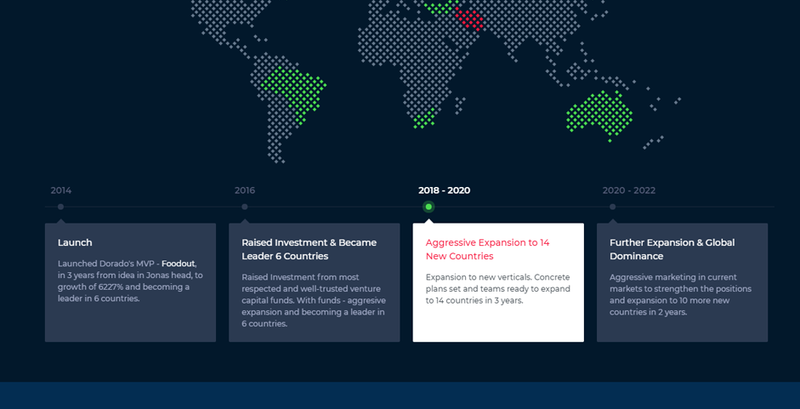 While AI, chatbots, mobile platforms, and drones lead the way in technology, Dorado has an unclear vision on how it can stabilize itself as a market leader. 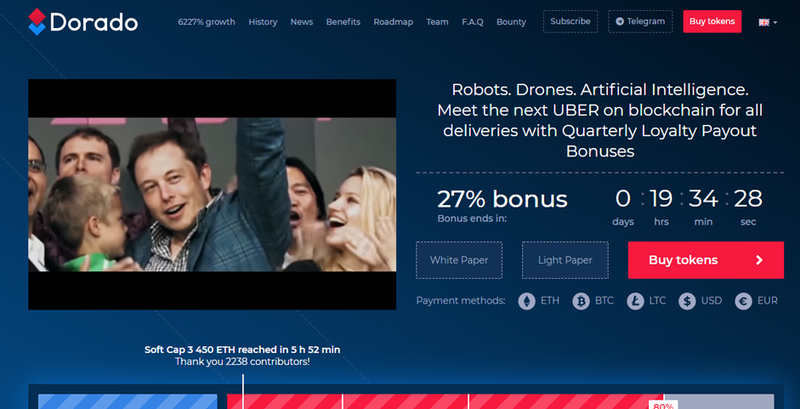 Locking 23% of the tokens for 3 years is nothing more than marketing gimmick. 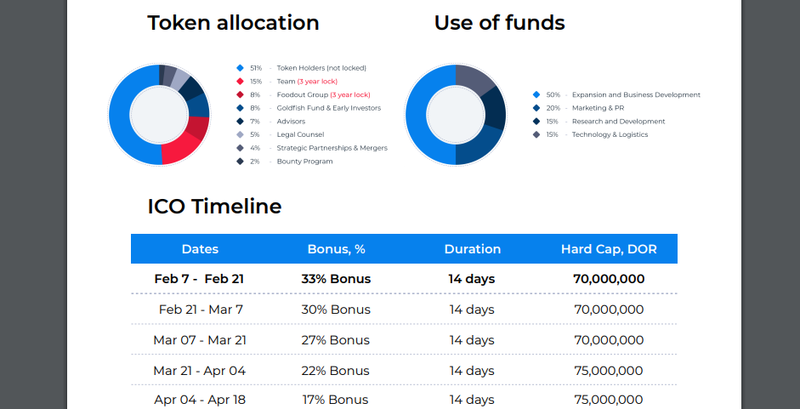 Initial early investors which received their large bonuses will likely commence their exit at the earliest opportunity. Investing in this business is a gamble, the long term gains likely won't be worth the wait.